So, you’re probably wondering why a great game that already had a decent translation and a recently released retranslation from fans would need another fan translation. Normally, I’d be wondering the same thing. However, here we are. 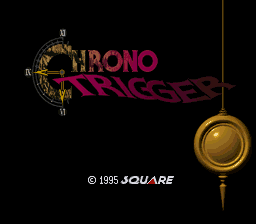 Late in January of 2008, I had a desire to play Chrono Trigger again after having not played for at least 7 years. When I discovered that KWhazit, ZeaLitY, and company had finished a new English retranslation, I immediately applied it to the game and started playing. No, discredit to them, but I felt much of the text was incoherent and/or awkward. I soon discovered I was not the only one who felt this way. Therefore, instead of complaining, I decided to take action. I acquired all the necessary tools to begin doing my re-retranslation. For the next 3 months, I went to work. I want to make it clear that, despite not enjoying their version, I would not have been able to do this without Chrono Compendium’s retranslation forerunners like ZeaLitY and KWhazit. The resources they provided pointed me in the right direction to complete this. In the end, here are the fruits of my labor. I aimed not so much for a literal translation, but localization, clear and easily understood text, and the inclusion of any missing elements left out from the US version due to Nintendo’s censorship policy from back in the day. Hopefully, you’ll find it to be an enjoyable experience. 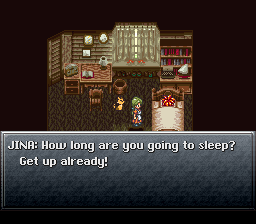 I will not provide you or tell you where to get an illegal ROM image of Chrono Trigger. Don’t ask. You are expected to provide your own legit copy. 1. 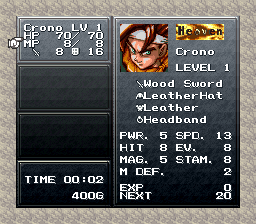 Crono’s final tech’s, Shining (Luminaire in original English version), description reads literally from Japanese, “Ultimate holy magic on all enemies.” Any version of heaven across all cultures in a spiritual, metaphysical, or magical sense is associated with being holy. 2. If the element truly was supposed to be Sky, why would the localization team change it to Lightning? Such changes were generally only done for three reasons: The original meaning held religious context (as heaven does), cultural difference no one here would readily understand, or was of an adult nature. I based my ROM edit off of a copy of Chrono Trigger patched with Chrono Compendium’s retranslation patch. So, their CronoNick fix and the ending artwork are both still in-tact. I take no credit for these whatsoever and you have them to thank.